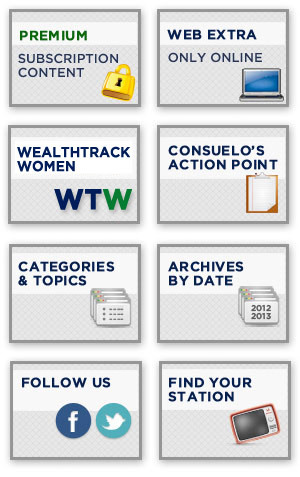 Consuelo Mack: This week on WealthTrack, an embarrassment of riches! Legendary value investor Chuck Royce says there are treasures to be found combing the global beach for high quality small company stocks here and abroad. Great Investor Chuck Royce is next on Consuelo Mack WealthTrack. Hello and welcome to this edition of WealthTrack, I’m Consuelo Mack. Talk to any financial advisors and they will tell you that many of their clients are just starting to recover psychologically from the beating they took during the financial crisis. Five years from the 2009 market lows individual investors are just now considering getting back into stocks or adding to their stock portfolios. The question they are all asking is: is it too late to get back into the market? What’s luring them in are the super-sized returns of the last five years… The S&P 500 clocked in 20.5% annualized returns. The small cap- oriented Russell 2000 nearly 25%. Look at just about any stock mutual fund category and the five- year annualized returns are spectacular. U.S. Large-cap core funds nearly 20% annualized returns. U.S. Mid-cap core funds over 22%. U.S. Small-cap core nearly 25%. Being a bear was a killer- dedicated short funds, which bet on prices going down had annualized returns of negative 35%. And investors who fled to the safety of cash got just about nothing. Five year annualized returns for money market funds were a miniscule three hundreths of a percent! This week’s WealthTrack guest warns not to read too much into these outsized stock returns. They are not indicative of future performance. They represent a slice of time off a severe market bottom. He is Great Investor Charles “Chuck” Royce, a pioneer in small company stock investments. He is president, director of investments and portfolio manager at the value and small-cap oriented Royce Funds which he founded in 1972. His flagship Pennsylvania mutual fund has outperformed the Russell 2000 for the last 10, 20, and 30 year periods. The fund has delivered impressive 14.5% annualized returns over the last 40 years. I began the interview by asking Royce about one of his investment truism “that the markets are cyclical”. Charles Royce: You should expect for markets to have market cycles, i.e., there will be ebb and flow. There will be corrections on the order of certainly maybe once a year, once every year and a half, over a course of five years, maybe a full market cycle or two. So these things are just not in a straight line. We just had a straight line moment, though, from the bottom, and to some extent that’s extremely misleading as to what’s likely to happen. Consuelo Mack: You’re right. We recently hit the five-year mark exactly from the market bottom, and all of us are looking at our mutual fund portfolios and saying, “Wow, they’re compounding at X percent a year, 20, 30 percent, whatever,” and you’re saying this is a moment in time. Charles Royce: Well, it’s completely artificial. There is no measurement period that should measure just from the bottom to the top. That would be silly. You want to measure over an adequate period of time. Five years most of the time should be an adequate period of time but in this case not. So from a market peak to a market peak would be the ideal way to measure things, but we measured from the bottom. Consuelo Mack: Where are we in the market cycle now as far as the overall market? Charles Royce: We are in a different phase. I believe this run-up phase, the straight line phase is over. Consuelo Mack: Is the market expensive now? How would you characterize the overall market and the small cap market? Charles Royce: That’s a really tough question. The issue with valuation is ideally you’re looking out three years, five years and then sort of discounting back. I’m an optimist. I believe this economy is bumping along at a reasonable pace, sometimes a little slow, sometimes just right, and I believe that will continue. I’m optimistic, and I do think that valuations for a decent section of the market, it’s very, very good. Certain sections, the speculative sections are overpriced. Consuelo Mack: You are optimistic about the U.S. economy specifically. Consuelo Mack: What are you looking at that is telling you to be optimistic? Charles Royce: Well, I think we’ve made progress in the sort of important areas. The area that I don’t think is critical is the employment level. I know that’s a focus of the administration and a focus of the Fed, but I think that’s unrealistic to say that should be your primary benchmark. The stock market is a very good indicator often of economic progress, and the stock market of course has responded very favorably. So I’m optimistic for a lot of reasons. Our relative economy is doing well in the world. I’m optimistic about the rates returning to sort of normal, and it’s done that in a little bit. So I’m optimistic for a lot of reasons. Consuelo Mack: One of the things that you’ve been telling clients is because you are optimistic about the economy that you expect quality stocks, number one, to take over leadership in the market and also that small cap stocks should flourish as well. Why are they linked? Charles Royce: Well, they’re not necessarily linked, but most people can’t figure out what small stocks are. Are they quality? Are they biotech? Are they this or that? Are they technology? So there is kind of a blur around small stocks. There is a component of small companies that we favor as a theme. We have some specialized funds that do quality only, and we have some broad funds that do a lot of quality. So quality is very important to us. Quality has underperformed dramatically since the bottom. It’s underperformed because this monetary stimulation gave preference to the inferior company. The company losing money, the company with high leverage was able to cure thyself. It was able to use a junk bond offering, was able to refinance debt. Those stocks that let’s call it losing company, inferior company, let’s call it a five dollar stock, went up to 25, went up four or five times. Charles Royce: A quality company that we typically owned that survived the financial crisis very well did not have the benefit of refinancing because they didn’t need to refinance. So that call it hypothetical $20 stock only went up to 40. Consuelo Mack: That’s starting to change now in that the value companies and the quality companies are starting to lead. Is this a turning point, and why is it happening? Charles Royce: It’s absolutely a turning point, and it started about this time last year. Around May 1st the 10-year Treasury bond was at 150, and as there was conversation at the Fed level about maybe they will slow down the purchasing of securities, tapering, there was an immediate reaction in the marketplace. The 10-year bond went from 152. It hit three percent. It’s pulled back a little bit, but there was an immediate reaction which completely shifted the tone in the market. Quality stocks have done better since then. They’ve done a lot better this year. So I truly believe leadership has shifted and that it will persist for a long time. Consuelo Mack: And when you talk at Royce about quality, what do you mean? Charles Royce: Quality for us is probably an unleveraged company with high returns on capital. Returns on investment is a wonderful, simple metric to measure quality. Consuelo Mack: Chuck, one of the take-aways of the financial crisis was that macro matters, and the markets were moved by macro headlines, and it overshadowed what was actually happening at the fundamental level with the kind of companies that you invest in for instance. What headlines do matter? What macro events do you pay attention to and which ones should we not pay attention to? Charles Royce: Most headlines you shouldn’t pay attention to. Of course there are macro elements that become critical over time. The financial crisis is a great example of that. There was probably more warnings that we all could have paid more attention to, but in general I think headlines actually are distracting. They’re irrelevant. They do not provide you any market information, so I’m actually a skeptic about how important macro really is day to day. Consuelo Mack: What do you pay attention to? Fed tapering, clearly you pay attention to. Charles Royce: We get our economic information from our companies. So we see companies every day, and of course we’re asking about what are they seeing. What are they feeling? What are they hearing? What are their own plans? Are they planning to start capital expenditures, et cetera? And that’s our input source. That’s better than an economist. Consuelo Mack: And is that company by company on a very micro level, or are you getting impressions now from what your companies are telling you about the economy, the outlook, business spending, whatever? Charles Royce: We certainly ask those questions, and they give us their feedback. In many ways they respond to headlines, too, so of course there’s a sort of feedback loop here, and it’s not all accurate, but ultimately the economy depends on what corporations are doing. Are they hiring? Are they spending money? Are they thinking about M&A? So we have that conversation, and that’s how we incorporate macro into our thinking. Consuelo Mack: And what are you hearing as far as attitudes from companies and their plans about M&A and capital investment? Is it positive? Charles Royce: The capital expenditure cycle has not started. I believe it will start momentarily. I think we’re going to see sort of signs of elements of that very shortly, but I have not heard that from the companies we’re talking about. They’re very interested in M&A. They’re certainly dancing in the M&A world. You can see that in lots of different ways. So I think cap ex comes next. Consuelo Mack: Let’s talk about index funds, passive investments. They now account for about a third of U.S. equity funds for instance. They’re now index funds or ETFs. What’s your view of that competition? Charles Royce: They are the new kid on the block. They work well in markets of exactly the kind of market we’ve had, a straight up market. A straight up market is ideal for passive investment. There is no corrections to worry about. There is no cash to worry about. You just stay fully invested and you do very well because the market does very well. Now, that market is over. That particular phase of markets are over, and I believe the glamour around ETFs will fade as we move into a more normal volatile market environment. Consuelo Mack: Your first job you’ve said many times is to protect principal and not lose money. When you look at an index fund or an ETF for instance, there is no one there who is trying to protect your principal from losing money. They’re going to do what the market does. So talk to me about how you protect principal as an active manager. Charles Royce: Active managers perform a wonderful role. They should be risk managers. They should be taking into consideration at all times the risk/reward of the investments they make. They should think about how much cash position is appropriate for the market cycle. Obviously a passive system doesn’t do that, so I very much believe that active management especially in the small cap universe is the only way to go. There are many, many active managers. We’re one of them. I expect them to do a lot better in a lower return environment. Consuelo Mack: And why particularly in small cap companies? Charles Royce: Because small cap companies have such breadth to them. There are thousands of small cap domestic companies, five, six, seven thousand companies, and if you think about globally it’s 30 or 40 thousand companies. So there’s so much to do, and an index will never demonstrate the opportunity set that a full look does. Consuelo Mack: You are known as a small cap pioneer. You identified initially U.S. small companies as a class of companies that actually deserves to be an asset class of its own that has certain characteristics. So first of all, what are the characteristics of small cap companies that we should know about? Charles Royce: The domestic class, which is what we’re principally involved with, is in this 5,000 plus universe. It’s a very evergreen universe. There’s always new companies. There are two to five hundred IPOs a year. There are spin-offs all the time. There are big companies that trip and become small companies. So there are at any given year 500 or so new entities. That’s the wonder of it all. That’s what makes it an evergreen universe. That’s what makes it so excellent as an investing set. Consuelo Mack: And has it become in the 40-some-odd years that you’ve been running the Royce Funds, has it become significantly diversified that it’s not acting as an asset class anymore? Charles Royce: No, I think the opposite has been true. Actually because we had this financial crisis, because we’ve had a straight up market, it would have the appearance that all the stocks have operated together. It really hasn’t been that way. Active managers have underperformed. We have underperformed in general. Consuelo Mack: In the last three years. Charles Royce: In the last three years or so. Consuelo Mack: Because five years I looked at the Pennsylvania mutual fund, and five-year annualized returns it’s about even with the Russell 1000. Ten-year annualized returns, ten percent versus nine percent annualized returns, and 15 years it’s over eleven percent versus under eight and a half percent. So over time, you as an active manager have definitely outperformed the market by significantly bigger margins. Charles Royce: Well, I appreciate that, but in fact our goal day to day is to deliver strong absolute returns, and then as this takes place over time, we like to think that strong absolute returns will beat relative returns, but there has been a period where we have underperformed on a relative basis in the last three years or so. I think that’s turning as we speak because quality is doing much better in this year, much better since the peak, much better in the last 11 months. Consuelo Mack: There is another area of small cap investing that Royce is getting involved in, and that’s investing in international small cap companies which you’ve actually written that it almost could be another asset class. Charles Royce: I absolutely believe that international small cap investing is exactly where domestic small cap investing was 20 years ago, so I believe this is a wonderful opportunity for most investors to think outside of the U.S. and to think about international small cap as potential source of returns. We believe that. We’re actively doing it. Consuelo Mack: Is this because we’re just discovering that there are all these small cap publicly traded companies in foreign markets, or have they been there all along, or are they new? Are there more of them now, or what’s going on? Charles Royce: There are not necessarily more of them now. As a society we’re a pretty provincial society, so we just haven’t thought globally until recently, until the last five or ten years. So it is an opportunity for us, but it’s always been there, and I think it will be a permanent asset class, international small cap, in the same way domestic small cap is. Consuelo Mack: Well, we recently did a webcast with David Nadel who is your Director of International Research at Royce talking about Royce rediscovers India. He had just returned from his umpteenth trip to India. What are the other areas that you’re finding that are particularly fertile for investment in the small cap area? Charles Royce: We love Europe. We’ve been very active. That was probably our first adventure into small cap land, so we’ve loved … and they’ve been very successful, these premier industrial often northern European companies that represented just extremely high quality, very global companies that operated around the world but from Europe. Consuelo Mack: And a lot of them are family owned? Is that correct? Charles Royce: Many of them are family owned. Many of them are exactly what you would look for, high returns, very good governance, dividends, excellent prospects, sort of niche products, and they’re very active in the emerging markets. Consuelo Mack: You mentioned dividends. Of course, investors have been looking for dividend- paying stocks. We don’t typically think of small company stocks as paying dividends, but in fact that’s yet another class of small company stocks that you’re also mining and investing in at Royce. Charles Royce: There’s no question about it. People think small companies are just sort of biotech or fancy or high growth or speculative, et cetera. In fact, there are plenty of stable dividend-paying companies. We have a theme and a few funds, our Total Return Fund and Dividend Value Fund that specialize in dividend-paying companies. We can capture I believe very decent returns, maybe not the tippy-top returns, with far less volatility in using these dividend-paying companies, and there are plenty of them, and we love finding them. Consuelo Mack: Chuck, do you have a favorite company or two that exemplified the kinds of companies that Royce invests in over time that you’re investing in now that are in one of the many portfolios that you run personally? Charles Royce: Sure. There would be maybe two good examples. Lincoln Electric. They are in the welding business which sounds like a pretty narrow business. Charles Royce: But it’s a very wonderful business. They are a global company. They are located in the Midwest in this country, but they have a global reach. They understand the right way to allocate capital, and it’s a very typical company for us. It’s in many of our portfolios. Another company in the financial services business that we like which is not a bank … we have not loved banks. We didn’t love them before the financial crisis, and we don’t love them now … is an asset manager called Federated Investing which is located in Pittsburgh, and they specialize in money market funds. Interest rates have been horribly low, and that has impacted them, but I believe interest rates will do fine over time, and they have actually consolidated their position. Consuelo Mack: Royce Funds runs well over 20 funds, and you’ve just mentioned some of them. I mean, they’re premier. They’re micro-cap. They’re dividend funds. They’re international funds. Is there one particular area of fund, Royce Funds, that you think has exceptional opportunities above the average Royce Fund for instance at this point? Charles Royce: Sure. Our quality-based fund, Royce 100. Lauren Romeo and myself run that fund. It specializes in superior companies where we have high conviction, and it has underperformed somewhat in the last three years as this whole quality theme has underperformed, and I believe it is an outstanding possibility for the next three to five years. Consuelo Mack: So quality is going to count. Charles Royce: Quality has turned around, and quality is going to be the leader. Consuelo Mack: Final question. One investment for a long-term diversified portfolio, and of course you cannot recommend one of your funds. What would you have all of us own some of in a diversified portfolio? Charles Royce: You must think active management. So my recommendation on that question is pick an active manager with a great long-term record. Active management will come back into play as markets go through a much more normal volatility period just as we’re having right now. Consuelo Mack: Chuck Royce, thank you so much for joining us on WealthTrack. Consuelo Mack: At the close of every WealthTrack we try to give you one suggestion to help you build and protect your wealth over the long term. This week’s action point borrows some research from Morningstar’s Russell Kinnel which fits into a frequent WealthTrack guest theme. This week’s action point is: buy some unloved sectors of the market. For the past 20 years Morningstar has tracked the annual performance of the most heavily sold mutual funds, which they call the unloved, vs the most bought categories…the loved. Using a 3-year holding period, the unloved funds returned an annualized 10.4% vs 6.4% for the most loved. Kinnel recently looked at what investors fled last year in his monthly fund investor newsletter. What were the unloved categories of 2013? Kinnel says there were large redemptions in large-growth, commodities, and precious metals funds. Among Kinnel’s recommendations in each unloved category are: Primecap Odyssey Growth, which he calls one of the best growth funds around. Harbor Commodity Real Return Strategy run out of PIMCO, because of transaction costs he recommends holding it in tax- sheltered accounts. And in precious metals, Oppenheimer Gold and Special Minerals Fund. With a nearly 48% loss last year, Kinnel says it is the epitome of unloved. Kinnel recommends holding the unloveds for a minimum of three years. Next week we will sit down with MIT professor and hedge fund manager Andrew Lo, a financial thought leader who is working on strategies to make us better investors despite ourselves! His latest MIT project: Artificial Stupidity! You won’t want to miss that conversation. For more of our interview with Chuck Royce, including his views on high-frequency trading go to WealthTrack.com and click on the extra feature. 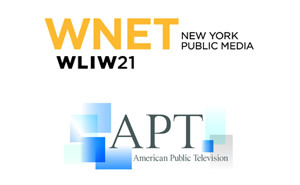 Plus in WealthTrack Women, our panel of female financial advisors will discuss how women differ from men as investors. In the meantime, thank you for joining us. Have a great weekend and make the week ahead a profitable and a productive one.